The portable measuring instrument Waveline W5 is easy to use, robust and delivers reliable results – due to it's compact and light design the W5 is perfect for mobile use. 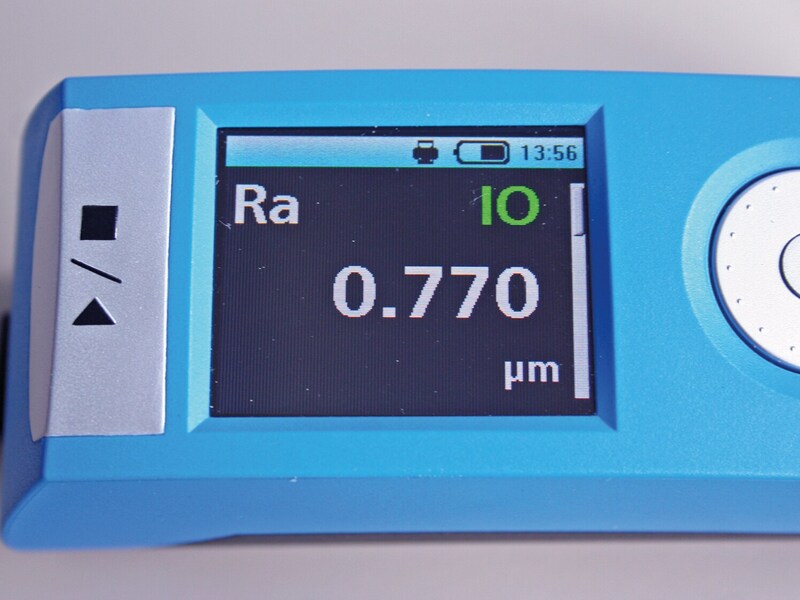 The Waveline W5 mobile measuring instrument impresses with its reliable and highly precise roughness measurement. The system can be positioned precisely on the workpiece and does not slip. It is lightweight with a compact design, which means it can be used easily for mobile applications. The battery pack also means the instrument will not let you down even with frequent use: The charge lasts for more than 800 measurements. 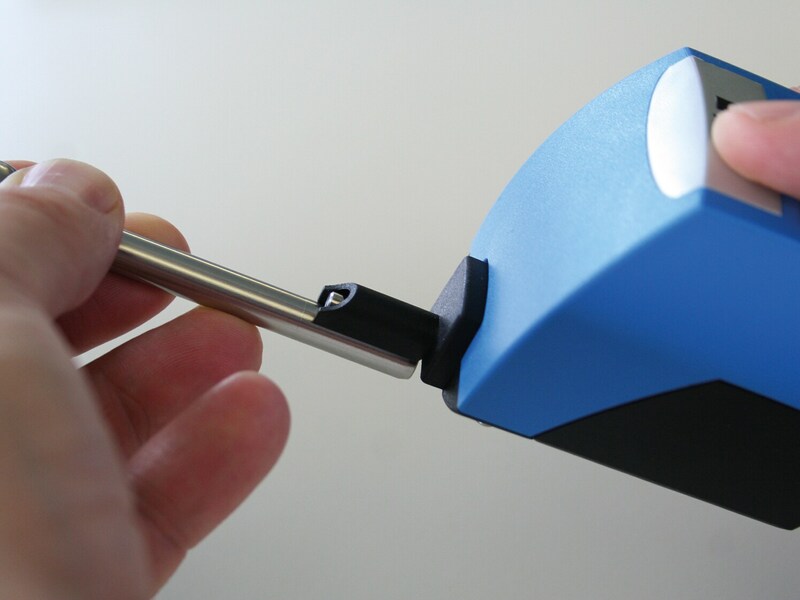 The roughness probe (measuring probe) can be changed easily and quickly, meaning the W5 can be used for countless different measuring tasks. The intuitive click wheel and color display mean that the measuring instrument is particularly easy to use. As an option, the measuring system can be extended with the Waveline P5 printer. 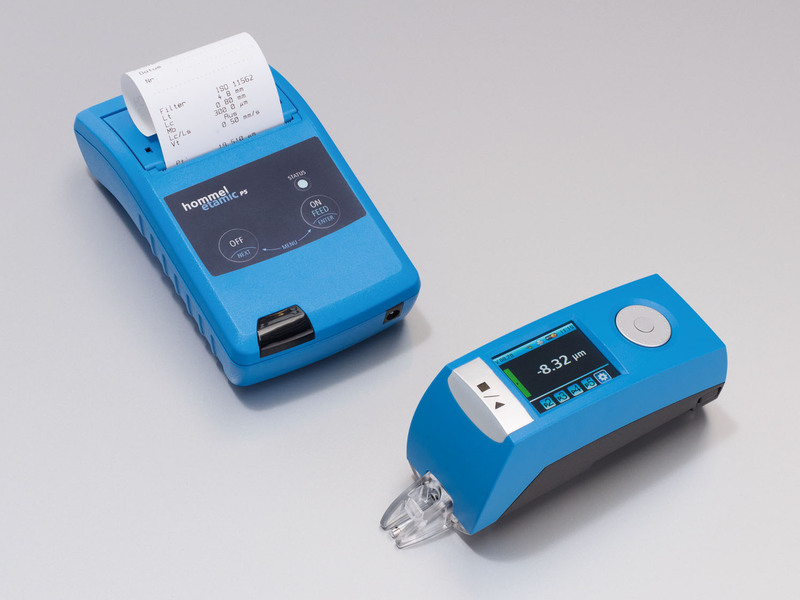 The two components can be connected with each other easily using the latest Bluetooth® technology, allowing you to print out your measurement results on site without the need for any additional connection cables.